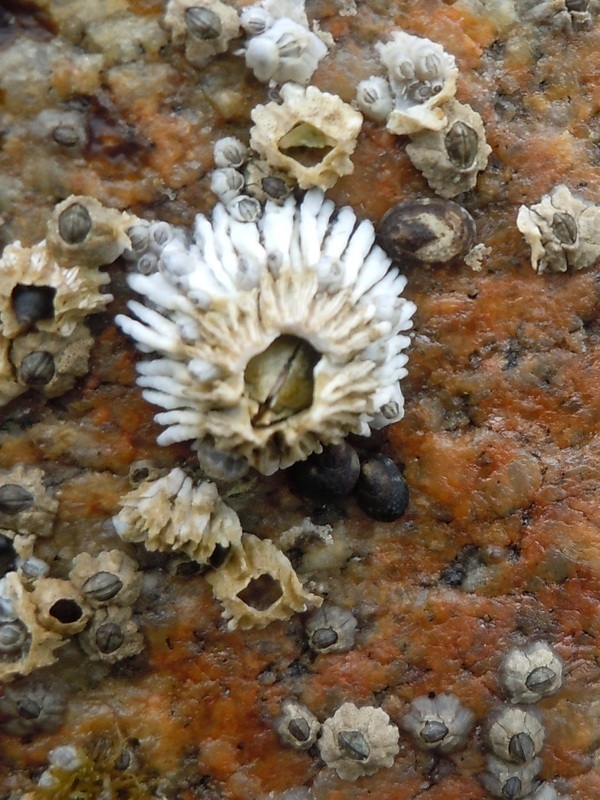 The growth of thatched barnacles varies with habitat. The distinctive ridges, which can become thatch-like (as in the bottom right image), are most visible on younger and less crowded individuals. The top right image shows some clearly ridged thatched barnacles growing on much larger giant acorn barnacles (Balanus nubilus). Barnacles that need to vie for space often take on a tall, thin growth form as in the middle left image. Photos by Joel White (top and middle left), Sara Wickham (top right) Kelly Fretwell (bottom right), and Rebecca Segal (bottom left). 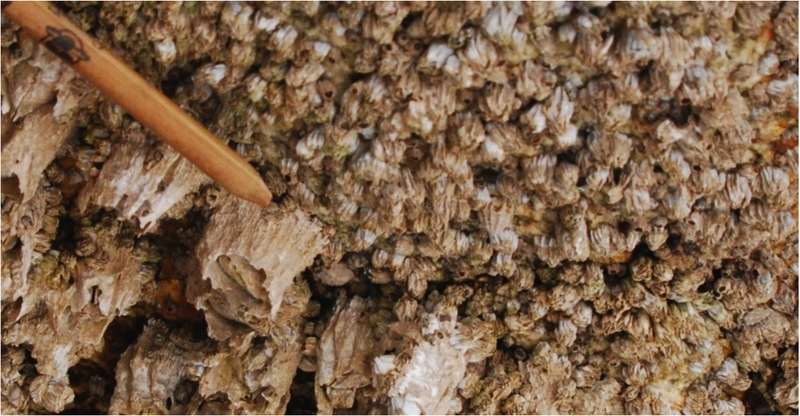 The thatched barnacle has a coarse outer wall with vertical ribbing. It is named for this ribbing, which often turns into thatched finger-like projections especially near the base of the barnacle. Note that this ribbing can wear away with time or from close contact with other barnacles. The plates that compose the outer wall can vary from white to greyish, brownish, or greenish. Individuals can grow to 5 cm tall and almost 6 cm in diameter. Dimensions of this barnacle vary: in crowded conditions it grows much taller, whereas with space it takes on the typical volcano-like shape. Thatched barnacles grow on rocks in the intertidal and shallow areas of semi-protected and exposed shorelines. Their range extends from Alaska to southern California. No other barnacle species found in the area has the same thatched or finger-like ribbing; however this ribbing may be obscured by erosion or adjacent barnacles. 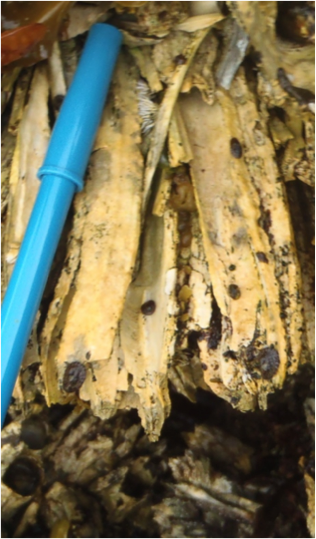 Thatched barnacles are obviously larger than acorn barnacles (Balanus glandula) in comparable habitats. Note that acorn barnacles also have external ribbing, though this ribbing does not take on the thatched finger-like projections that thatched barnacles often have. 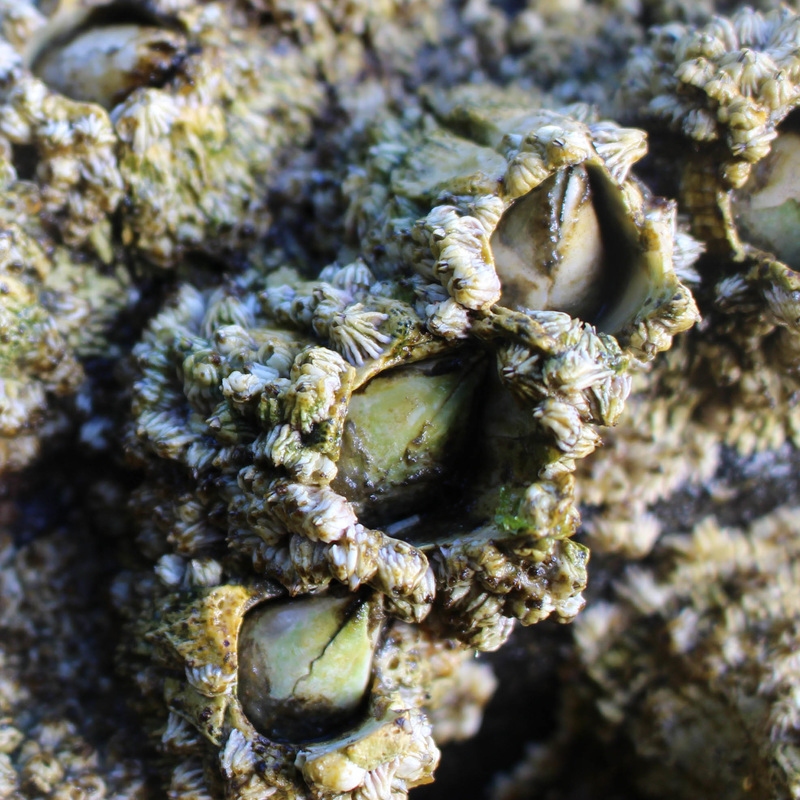 Thatched barnacles are much smaller than giant barnacles (Balanus nubilus), which can grow up to 10 cm wide and 12.5 cm tall, and which have a 'beak' (formed by terga) that extends above the wall plates. 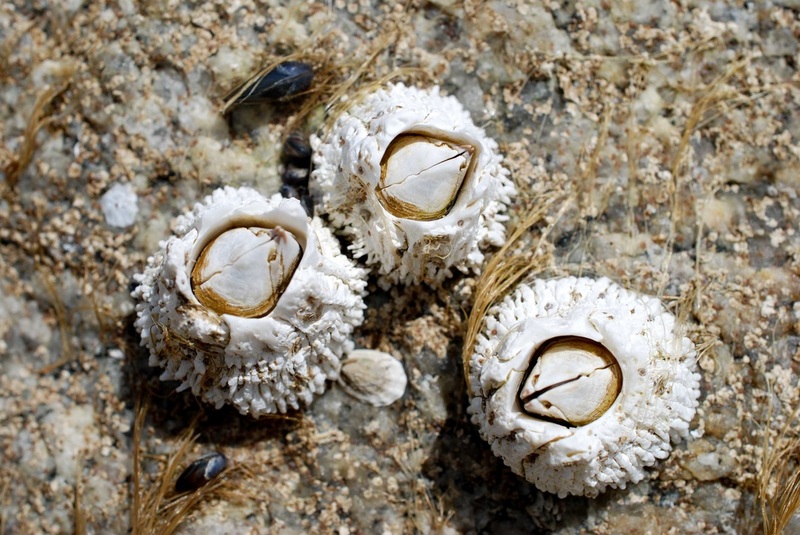 Thatched barnacles can live for up to 15 years. Cornwall, I. (1955). Balanus nubilus Darwin. In Klinkenberg, Brian. (Ed.). E-Flora BC: Electronic Atlas of the Plants of British Columbia. Lab for Advanced Spatial Analysis, Department of Geography, University of British Columbia, Vancouver. Accessed 24/07/2014. Cowles, D. (2006). Semibalanus cariosus (Pallas, 1788). Invertebrates of the Salish Sea. Rosario Beach Marine Laboratory. Accessed 24/07/2014. Harbo, R. M. (1999). Whelks to whales: Coastal marine life of the Pacific Northwest. Madeira Park, BC: Harbour Publishing. P. 85. Joel White, Kelly Fretwell, and Brian Starzomski (2014).